Theft and unauthorized use of your valuable heavy fleet can be a serious problem. It has never been more important to monitor the location and use of your construction assets to keep projects on schedule and expenses down. Fortunately, there are some steps project and site managers can take to reduce the risk, including implementing new IoT technology. Some employees might see no harm in borrowing specialized equipment for a personal project over the weekend, or worse, using your assets to perform work for personal profit. This utilization causes additional wear and tear on the equipment. Unauthorized use increases the risk of serious damage or liability to the asset and operator. Theft, of course, is an even greater problem; in addition to the cost of replacing equipment, there is lost job time that can never be recovered, and sometimes penalties when deadlines are missed. 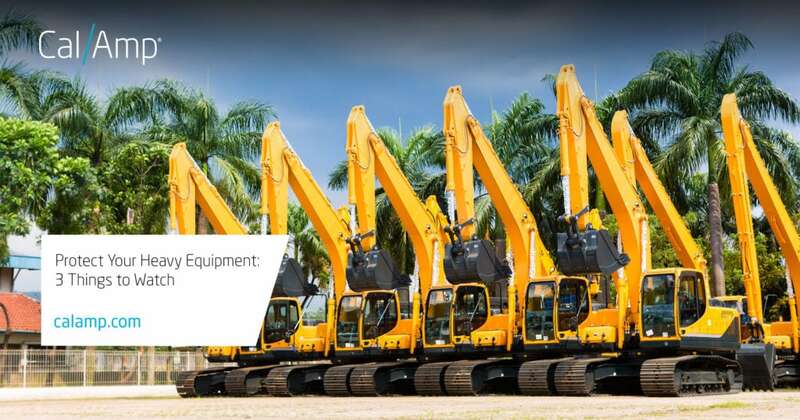 According to 2016 National Equipment Registry and National Insurance Crime Bureau (NICB) report, between $300 million and $1 billion is lost annually due to construction equipment theft and only 21% of it is recovered. When job sites are remote, not well lit or don’t have clear lines of sight, it can be difficult to visually check that all equipment is present. A telematics solution can solve this problem by putting the locations of all your assets literally in the palm of your hand. You can check the location of your equipment at a glance and from anywhere. And, of course, telematics never sleeps—even at night or over a weekend, you can access the information to be sure that everything is where it should be. A check-in and accounting process for equipment pick-ups can help ensure that only authorized personnel are utilizing your assets. Make sure you know every operator who checks in, and that all personnel are working on their assigned part of the project. A telematics solution enables you to sync the asset with its operator for a better chain of custody throughout the day. Additionally, with a telematics solution, you can set alerts that warn you when equipment enters or leaves designated areas. If someone uses an asset at night or on the weekend, you’ll know right away. This helps to combat both unauthorized use and theft. A stolen asset recovery system provides an extra layer of protection in case a theft does occur. By pairing telematics, common sense protection methods and a recovery solution, you can protect your equipment from a variety of risks in a cost-effective way while improving the chance of recovery. For more information about how to improve your asset protection strategy, visit our Construction Solution page.